I've said it before and I will say it again; season on season, collection by collection, Elie Saab just is spot on for me. Whenever a new piece appears on the catwalk it does not fail to impress me and I just love this designer. This years Fall 2014 Couture collection was no exception. Each piece was as stunning as the on that walked down the catwalk before it. Necklines were a mixture of; straight across, widely scooped, deep "v's" and highly cut. Each complimented the rest of design extremely well, producing well rounded outfits. One thing I always love about the collections from Elie Saab is that all of their couture pieces, although sometimes extravagant, are pretty much always wearable. They are just the perfect dress for red carpet occasions. The range of fabrics kept my interest throughout, with a variety of both embellished outfits, heavier fabrics and long floating designs. A few pieces were covered head to toe in embellishments creating gorgeous, eye-catching dresses that really made this collection a stand out again this season. The waistlines of the dresses cinched the fabrics in at the perfect place, creating beautiful silhouettes that really flatter. I could go on forever about how much I really love this designer and the collections produced. But to sum this couture collection up - for me it was just as delightful as ever. The dresses were gorgeous, feminine and contained a perfect variety of styles and designs. I for one can't wait to see what Elie Saab has next up his sleeves. 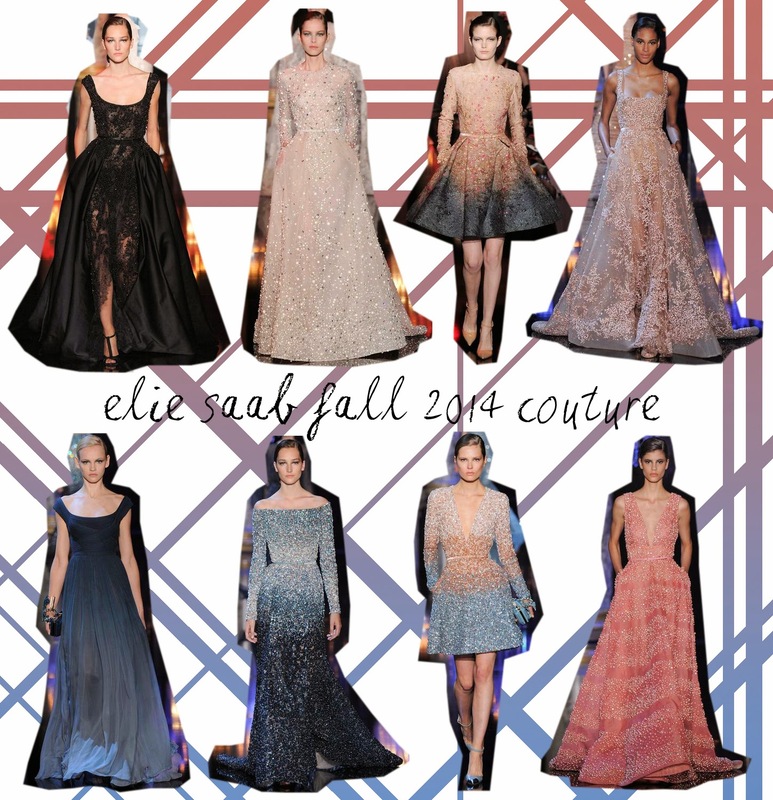 Elie Saab is one of my favourite designers! I've seen a lot of his dresses on red carpets and they're always so gorgeous.